This paper presents a Chinese named entity recognition system that employs the Robust Risk Minimization (RRM) classification method and incorporates the advantages of character-based and word-based models. From experiments on a large-scale corpus, we show that significant performance enhancements can be obtained by integrating various linguistic information (such as Chinese word segmentation, semantic types, part of speech, and named entity triggers) into a basic Chinese character based model. A novel feature weighting mechanism is also employed to obtain more useful cues from most important linguistic features. 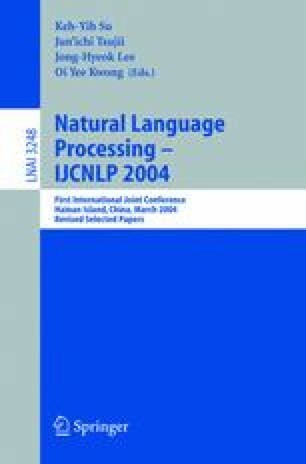 Moreover, to overcome the limitation of computational resources in building a high-quality named entity recognition system from a large-scale corpus, informative samples are selected by an active learning approach.